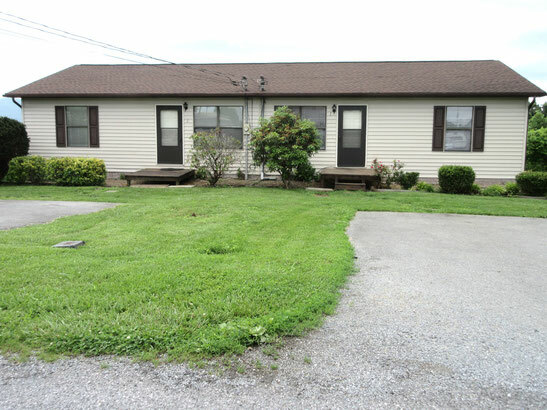 Whether an investor or owner occupant, this duplex is in good condition and is conveniently located between Johnson City and Jonesborough. Unit #1 offers 2 BR, 1 BA, eat-in kitchen with appliances and living room on the main level. Basement offers another bedroom, den and unfinished area with washer/dryer hookups and storage and an exterior door to concrete patio. Unit #2 offers 2 BR, 1 BA, eat-in kitchen with appliances and living room on the main level. Basement is unfinished with washer/dryer hookups and offers great storage/workshop or expansion potential. Each unit has a heat pump, insulated windows and a rear deck with great mountain views.